Is a Free Trade Deal With China Worth It for Canada? Rhetoric from the Trump administration has singled out China as the biggest single threat on the global stage. China’s questionable reputation in international trade circles stems from acquiring foreign technologies through forcing foreign firms into partnerships with local businesses, stealing intellectual property (IP) through spying and cybercrime, restricting foreign access and investment in Chinese markets, and not fully complying with World Trade Organization policies. Additionally, given that China is already Canada’s second-largest trading partner and with its reluctance to open its markets to foreign competition, one has to wonder: Is it really worth it for Canada to get a free trade agreement with China? A report written under the supervision of Andrew Sharpe, founder and executive director of the Centre for the Study of Living Standards, showed that the surge in Chinese imports—“China shock”—resulted in a net loss of 105,000 Canadian manufacturing jobs from 2001 to 2011. That’s 20.7 percent of the decline in manufacturing jobs during that time. “The local labor markets that are more exposed to competition from Chinese imports also exhibit larger reductions in average wages,” according to the report. Broadly, bilateral trade between Canada and China has Canada sending natural resources in return for lower-end manufactured products. The net impact to the economy is a fine balance between the loss of jobs versus Canadian consumers benefiting from lower prices due to Chinese imports and some Canadian businesses gaining from higher export prices. As Canada contemplates a bilateral free trade agreement with China, it’s not clear how much more trade there is to be gained, says Sharpe. “It might be relatively minor because we already have significant trade with China,” Sharpe said in a phone interview. “China has had a significant price advantage on manufactured goods and so we’ve already imported so much from China,” he added. Bannon is well known for taking issue with China’s military ambitions in the South China Sea, but he also expressed his concerns about the Chinese threat to American entrepreneurship in his 60 Minutes interview. “I want China to stop appropriating our technology. China, through forced technology transfer, and through stealing our technology is cutting out the beating heart of American innovation,” he said. There’s no reason to believe Canada isn’t as vulnerable if not more so than the United States regarding IP theft, which can arise in a number of ways. Gaining market access in China means competing against state-owned enterprises, which puts Canadian companies at a significant disadvantage. “The most successful trade agreements level the playing field for the other country in terms of getting market access,” said Jan De Silva, president of the Toronto Region Board of Trade, in a phone interview. De Silva, who worked for over a decade in Hong Kong, hopes that in principle, a potential trade agreement would see all restrictions removed on Canadian businesses including them being able to bid on government contracts. But given China’s centrally planned economy, all evidence suggests that this is unlikely under the communist regime. 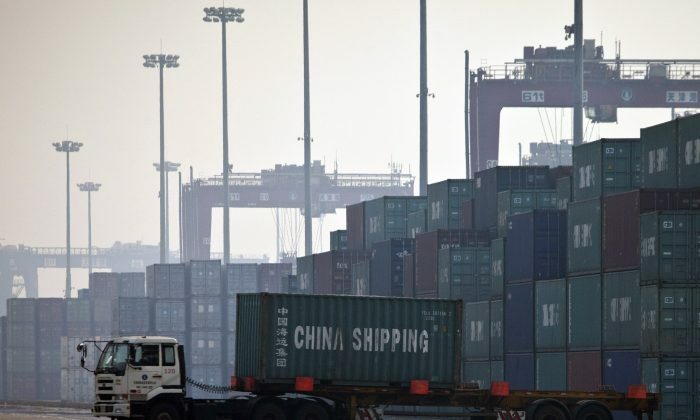 An early analysis of Australia’s free trade agreement with China (ChAFTA) hints at these types of concerns. “One question is what impediments companies might still find when they attempt to operate in the Chinese market,” said Shiro Armstrong, co-director of the Australia-Japan Research Centre at the Australian National University, in a report for the Asia Pacific Foundation of Canada. Armstrong’s report was written in April—almost two years after ChAFTA came into effect. “Only time will tell whether businesses are able to make the most of the agreement,” he wrote.